Our Mission is to make Your Mission a reality ... the difference is our unique blend of experiences, our established social network, and how we do what we do for you. Through strategic planning, execution of essentials task with simplified proven Internet Marketing systems (doing what it takes) in the trenches day by day we provide you with uniquely branded, top hat, digitally marketed Social Media services and solutions. Unique Brand & Business Model Plans - ask about "Happy Meal Marketing"
Please note these are just a few examples, there are many clients that we keep confidential however, we can arrange additional references upon request. with as much as 20+ Million impressions. 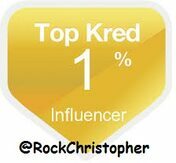 Rock Christopher Agency #SuccessTRAIN reaches millions weekly.